31 May – 3 June 2019 – Indian Wells , California. I will be doing TWO extensive lectures and a full WORKSHOP at Contact in the Desert in Indian Wells, California. See promo video below. More than 50 international researchers, authors and scientists that cover a vast spectrum of NEW Knowledge. I will be on tour of the USA from 22 May 2019 – doing 17 Cities – with Presentations and Workshops. Please CLICK HERE for BOOKINGS and FULL details of the dates and cities. This is for those who live in the USA. I will be on my 10th annual USA tour from 22 May to 22 July 2019. This is a big one – we are visiting 17 cities and most of the USA. As always, there is so much new information. The Healing aspect of the ancient sites; Ancient ruins and churches as energy machines; Anunnaki in Southern Africa; New fossils of giants and other creatures; Tools & artefacts; Nature of our reality and How little we really know about the workings of the world around us; A simple unification Theory of Everything that has eluded everyone – staring us in the face; The very important Particle Physics madness and conspiracy; My new obsession with the “Secret Space” program, with the emphasis on “Secret of Space” – not the secret program, which is no longer secret; UBUNTU and Contributionism – And much more fun stuff to help us expand our minds and wake up from the deep sleep of unconsciousness. If you are in the USA, I hope to see you at one of these events. Please share this with your friends and those who are interested in information of this nature. I will be doing an online session for those interested in engaging in a live workshop and Q&A session. My new obsession – The “SECRET SPACE” program/deception. I look forward to seeing you there if you can make it. 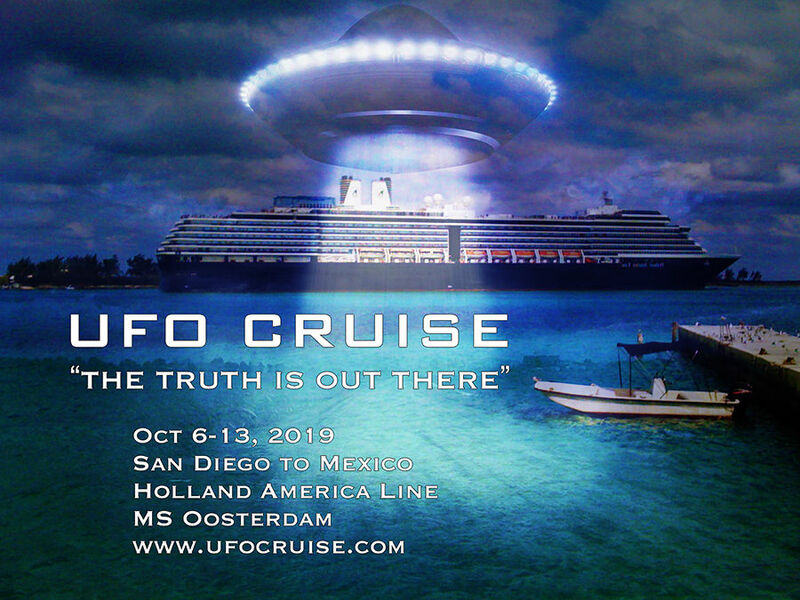 Join me on a 7-day cruise of a lifetime from San Diego to Mexico 6-13 October 2019. I will be doing several lectures and Q&A sessions along with a host of international speakers, scientists and researchers. My fiance Emma and I will be there and she will engage those who join us in her usual angelic spiritual shamanic interaction that creates life-long bonds and friendships. This is the first cruise that I will ever take and I look forward to it with great anticipation. 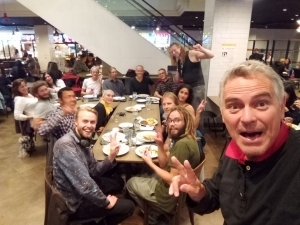 There is so much to share with new discoveries and revelations coming almost daily regarding our Hidden Origins, Anunnaki, Giants, Ancient Ruins and advanced ancient technology – it makes my head spin with excitement to be able to share all of it with those on the cruise with us. Go to the website HERE to book your space and ensure to say that you were referred by me – Michael Tellinger – when you book. 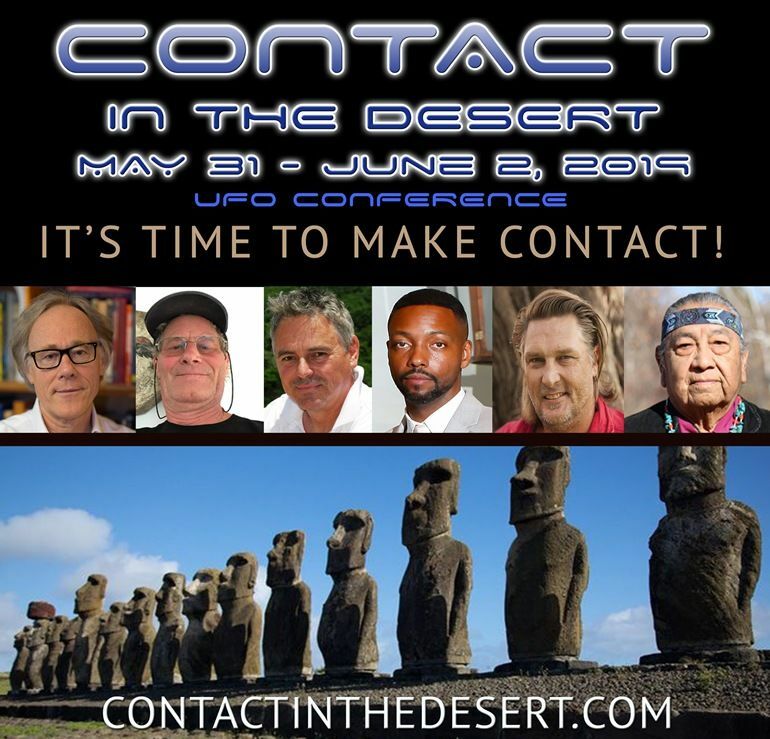 I will be at CONTACT in the DESERT again for the 6th annual appearance – with some of the biggest names in the world of scientific and archaeological research, human origins, medical research, ufology, history, spirituality, psychics, mystics and so many more incredible souls. From Erich von Däniken, Graham Hancock, David Wilcock, James Gilliland, Nassim Haramein, Hugh Newman, Giorgio A Tsoukalos, Linda Moulton Howe, Brien Foerster, George Noory, Laura Eisenhower, and so many more. Join us if you can for an unforgettable weekend. Go to the website to get your tickets before they sell out – there is a limited capacity at this event. 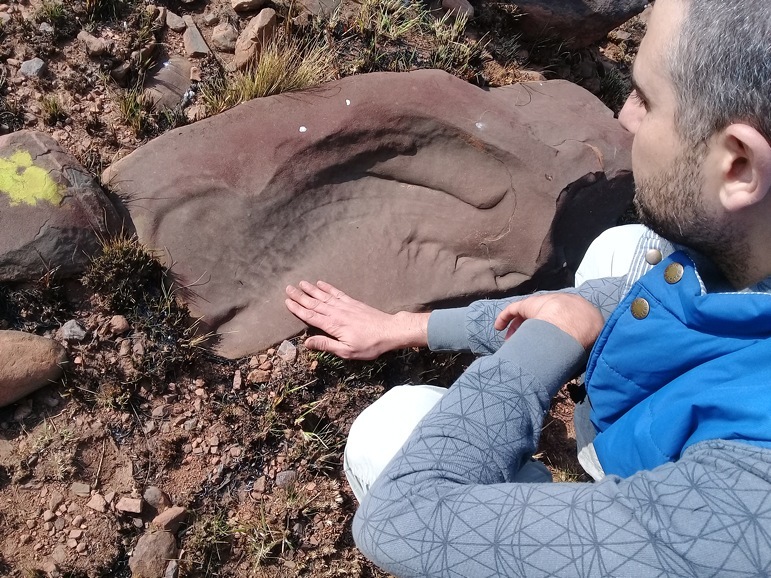 It was a great pleasure to show my friend Dr Semir Osmanagic around the Stone Circle premises and share some of the latest discoveries of magnificent fossils – like the ribs, shoulder blade, hoof of strange creature, and the new heart that show internal parts like ventricles and septum. This was our launch to the first Sacred Journey To Africa Tour with Sam and myself which included Great Zimbabwe and Ngwenya Mine in Swaziland – the oldest mine in the world dated at 43,000 years and older, by late SA archaeologist legend Peter Beaumont. The 2020 Sacred Journey to Africa Tour will be announced soon. 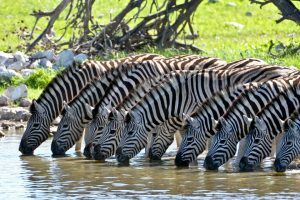 Special tour South Africa 19 Sept – 3 Oct 2019 for German and English speaking people with myself Michael Tellinger and USA master channeller Brad Johnson. 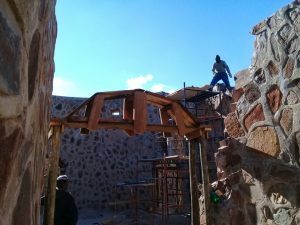 Join this stunning megalithic tour of South Africa, including Adam’s Calendar, the stone circles and giant footprint, Kruger National Park, Johannesburg & Soweto, plus add on tour to Cape Town. 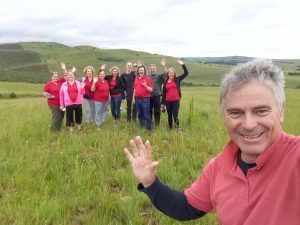 The Stone Circle Research Expedition team of Jan 2019, did not disappoint its participants. 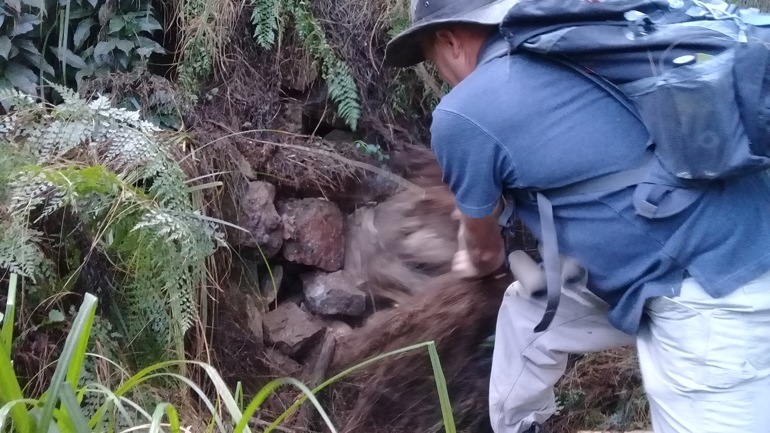 Once again the expedition delivered spectacular discoveries within the first two days. 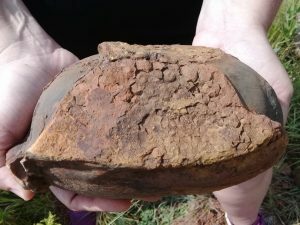 This fossilized heart about 3 times the size of a human heart was found among the stone ruins in the mountains of Mpumalanga province, South Africa. Many more fossilized body parts were found by the research team. The septum and ventricles can clearly be seen, with heart muscle around the edges and below. 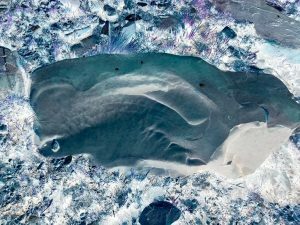 These discoveries are growing the pool of physical evidence of some massive event in ancient times that covered entire mountains in water and mud, trapping humans, humanoids, animals, and other creatures that defy current knowledge of our past. Could this be the Biblical Flood? I am starting to believe that this is the case. 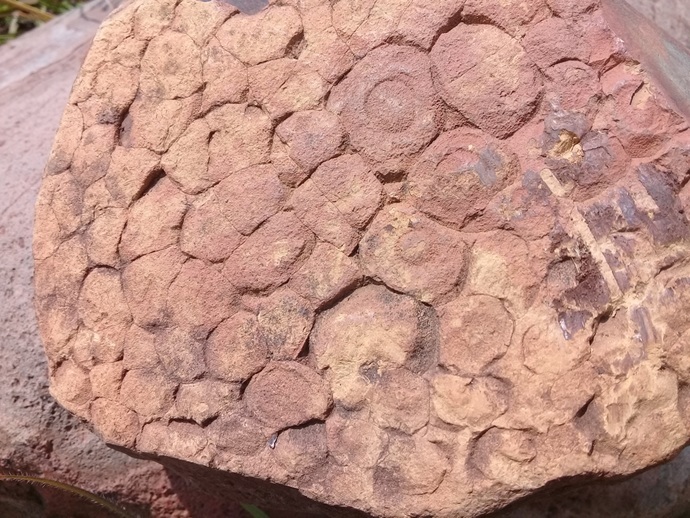 These fossils cover an area at least 100km in diameter that we have covered in ur research expeditions. If they can be found further, which that have, we have a very serious case of evidence for the Great Flood in Southern Africa. Since January 2018, the first Research Expedition, we have found fossils of humanoids and giants that vary in size. From about 3 times the size of modern humans; 7m, 30m, 100m and much larger beings. This is just a small taste of the vast number of fossils discovered by myself Michael Tellinger and my team – possible unveiling one of the most important archaeological discoveries in modern history – and pointing to an ancient and mysterious past that very few can imagine. See Adam’s Calendar in its full glory on the sunset of the Summer Solstice 2018. Join me on a special Christmas Weekend among the Stone Circle Ruins – Museum Tour – Fossils of Giants – Adam’s Calendar and the Giant Footprint. 21-23 December 2018. This is especially for my South African friends who can make the drive to Waterval Boven, Mpumalanga. I have not done a trip to the giant foot print in quite some time – so this will be very special for me too. 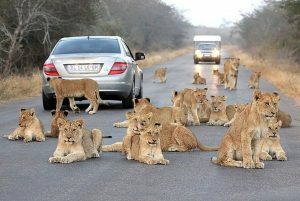 This is a self drive tour – please arrive in a high clearance vehicle – 4×4 not necessary, just high clearance. We have some accommodation at Stone Circle Lodge – other lodges in the area are available. 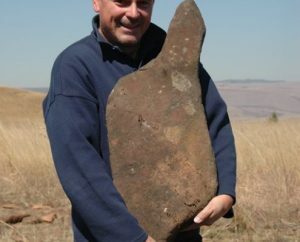 Arrive Friday afternoon 21 Dec: Fireside chat and sundowners at Stone Circle Lodge & Museum. Saturday 22 Dec: Breakfast – Museum tour and orientation. Travel up the mountain to see several ruins and fossils of giants. Walk among the ruins and feel the energy – meditate for some time and absorb the healing effects of the stone circles. 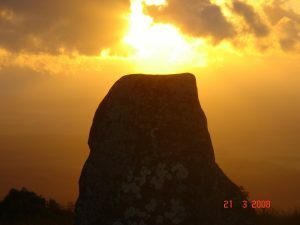 Afternoon – travel to Adam’s Calendar to see the various aspects of this ancient site – Stone man; Ritual Path, Sacred Altar and grave of Anunnaki King; Little Sphinx; AND the shadows of the setting sun at Adam’s Calendar – that gives it is special characteristics – the oldest working Sun Calendar on Earth. Dinner at Stone Circle Lodge. More discussion about what we saw the previous day – short visit to the museum to appreciate the fossils a little more and Q&A. Travel to the Giant Foot Print near Amsterdam – 1,5 hour drive through beautiful scenery. Explore the area around the foot print. 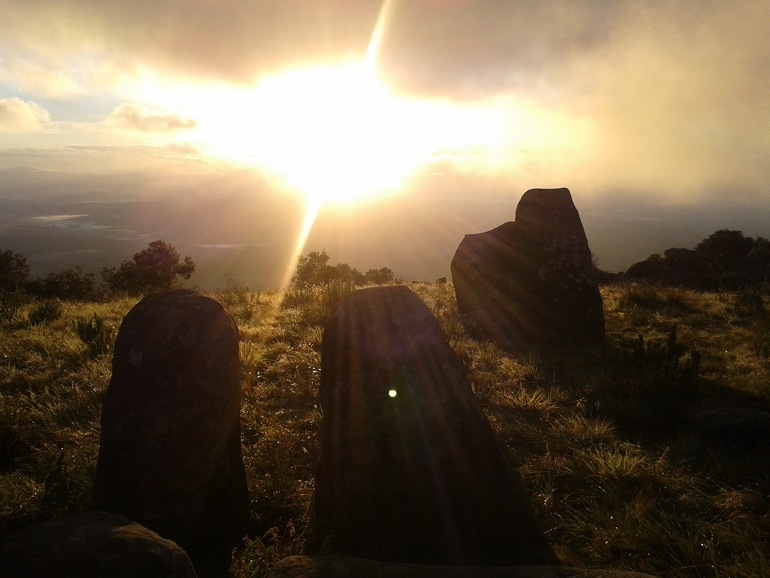 Say goodbye and part ways with some – others return to Stone Circle Lodge with me – for Sunday sundowners and dinner. A training session for those interested in becoming National coordinators, Hosts of One Small Gathering Events and Promoters of ONE SMALL TOWN implementation. We will work through the finer details of implementation – the challenges and other important information that will help crystalise your thinking about UBUNTU – our strategy and plan of action into the future. We have a simple plan to bring prosperity and abundance to everyone on this beautiful planet of ours. Spread the message and join me if you can. 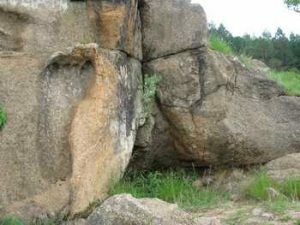 The discovery of the fossils of giants among the stone circles of South Africa has shifted the attention to GIANTS in history and their connection to the stone circle ruins themselves. I have found evidence that the beings that built the stone circles were larger than normal humans today – possibly 3 times as tall. 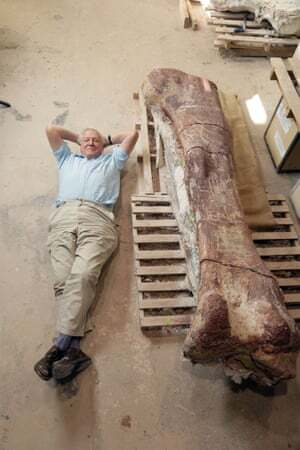 The main picture shows David Attenborough lying next to a giant creature found in Argentina in 2014 an indication of the size of the creatures of the past. 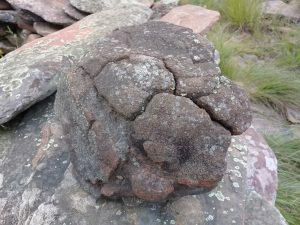 Below is a picture of a petrified giant bone knuckle close to me in Waterval Boven, South Africa – in proximity to the Stone Circles. 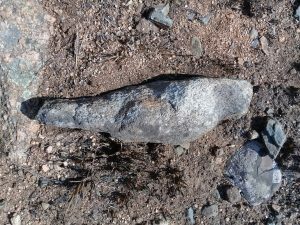 The shaft of the bone was somehow cut, revealing the discoloration of the petrified blood, marrow, fats and other fluids. A very different petrification result to the rest of the bone head. 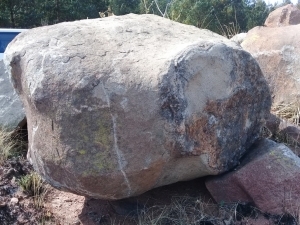 The Book Of Enoch tells us that the giants were up to 1 mile high (3000 ELS) The evidence of giant fossils in Southern Africa is astonishing and has provided fossil evidence of such giants in many places. The Stone Circle museum has several hundred fossils of giants and creatures. 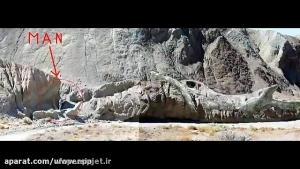 BUT there were not only GIANT humans in ancient times – but also giant creatures, some with reptilian and dragon-like features that have been found. Giant TREES several miles high once covered the Earth – like the tree featured in the AVATAR movie. It is becoming very clear how deeply we have been lied to and manipulated by our so-called authorities about the true history of our Earth. 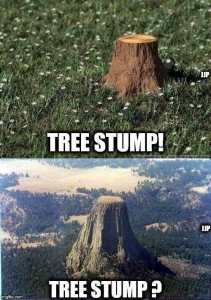 Devil’s Tower in Wyoming is most likely the best example of a giant tree stump – and so the mystery of our past deepens with every door we open. 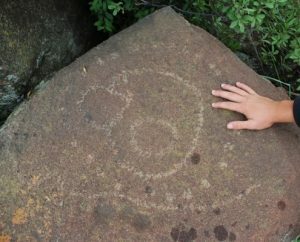 The mysterious and unique rock paintings of stone circles in South Africa, have been estimated to be well over 50,000 years old. It remains a big question – which came first… the stone circle ruins… or the rock art of the original structure itself as a plan or map. 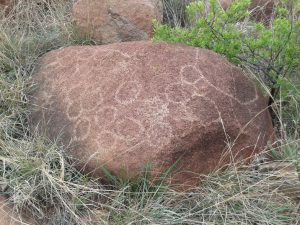 How can we be so sure about the dating of the rock art? The patina growth gives it away. Keep in mind that the patina grows incredibly slowly – and the thicker it gets, the slower it grows. By the time this patina is a millimeter thick, it is most likely well over 10,000 years old. 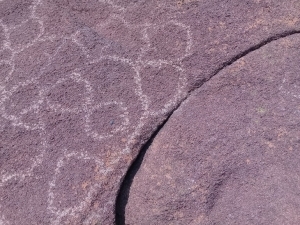 The cracks that have appeared across some of the rock art, have indicated the extreme age of the paintings and raised a big question. 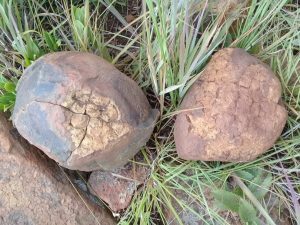 Why has the patina on the surface of the rock grown back into the crack and in several cases filled the entire crack, while the patina has not grown over the rock art paint lines. This suggests that the paint substance used by the artists is very resistant to patina growth. The chemistry needs to be examined and reproduced for testing. It is obviously an incredible anti-oxidant and can be very useful in our lives today. I do not think that we have any such paint today that will withstand 50,000 years or more of weathering. 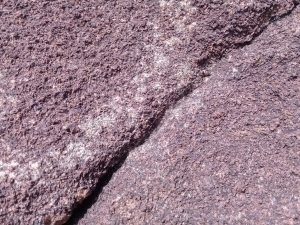 Here is an example of a crack that appeared and actually separated the paint line – a piece of paint can be seen on the outside of the crack. The crack is almost completely filled and overgrown by patina. 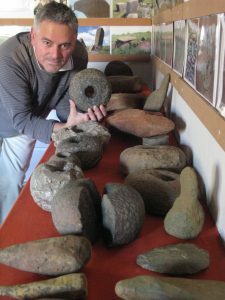 Please support the Stone Circle Museum Fund – become a PATRON of the museum HERE. 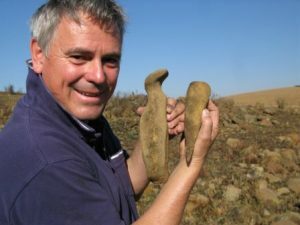 The Stone Circle Museum is the only museum devoted to preserving and showcasing thousands of tools, artifacts – ancient advanced technology – fossils of giants that roamed this part of the world – showing evidence of ANUNNAKI presence here – and researching the ruins and vanished civilisations of Southern Africa and the millions of ancient ruins they left behind. Be part of the research and preservation initiative headed by Michael Tellinger – the only person at present doing this work. Book HERE: Please print out your payment proof as your ticket. I will be presenting a FULL DAY seminar in Basel, Switzerland on 9 Nov 2018 – with German translation. I will be doing TWO presentations in Rosenheim Germany: 3 & 4 November 2018 with German translation. Great BIG Thanks to all the amazing people that came to meet me at my presentation in Stockholm, Sweden yesterday – also from many other countries like Norway, Estonia, Latvia, and others – To all those that are holding the UBUNTU Contributionism flag high, and in their hearts in all those countries – I love you and honour you – thank you for making me feel so welcome and being so warm, hospitable and human. Thank you for a wonderful time out in Stockholm – I will never forget this day. I look forward to seeing you again soon. Keep spreading the message and being the seeds of consciousness in your respective areas. I believe that ONE SMALL TOWN Sweden is about to happen. 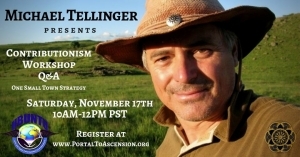 In unity & resonance – Michael Tellinger. 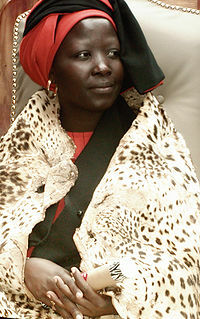 Rain Queen Modjadji was one of the last remaining Female African Monarchs – At the sacred lake Fundudzi in Limpopo province of South Africa. It is believed that she was poisoned in 2005. 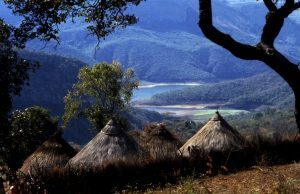 Her village and Lake Fundudzi is just one of the Sacred Sites that we will visit on the March 2019 Sacred Sites tour with me Michael Tellinger and Shaman Dean Liprini. This will be a truly extraordinary experience that very few people will ever have. Please book now to avoid disappointment – limited space of 22 people only as always. Click the link for bookings. 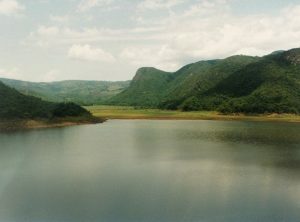 Our journey will take us from the Village of Queen Modjadi, Rain Queen of Limpopo – Sacred Lake Fundudzi, “Thathe Vondo” Holy Forest, Limpopo – Famous Kruger National Park, the BIG 5 – Giant Footprint – Adams Calendar – “The Birthplace of the Sun “Inzalo y’ Langa – the Mysterious Stone Circles – Waterval Boven – The spectacular FOSSILS of GIANTS and other CREATURES – one of the most critical archaeological discoveries of the past 100 years – Cape Town, Table Mountain and the Cape Peninsula, The Great Motherstone and Fertility Caves, The Great Burial Cave and Ascension Cave, Cape Point, African Township and Traditional Healers – The Sacred Bushmans Valley – The Hippo Fertility Cave and Seed of Light – Paarl & Cape Winelands, all this and more! I look forward to another unforgettable journey of discovery with those who join us. New life-long friendships will be made and soul mates will be found as has been the case on previous journeys. 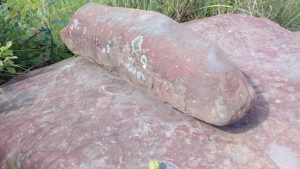 What we originally thought to be the fossilized spine of a child turned out to be the tail and hind legs of a reptile – large lizard or crocodile – type creature. After playing with different kinds of exposures on the photograph, it became very clear to see. This is truly a spectacular find. 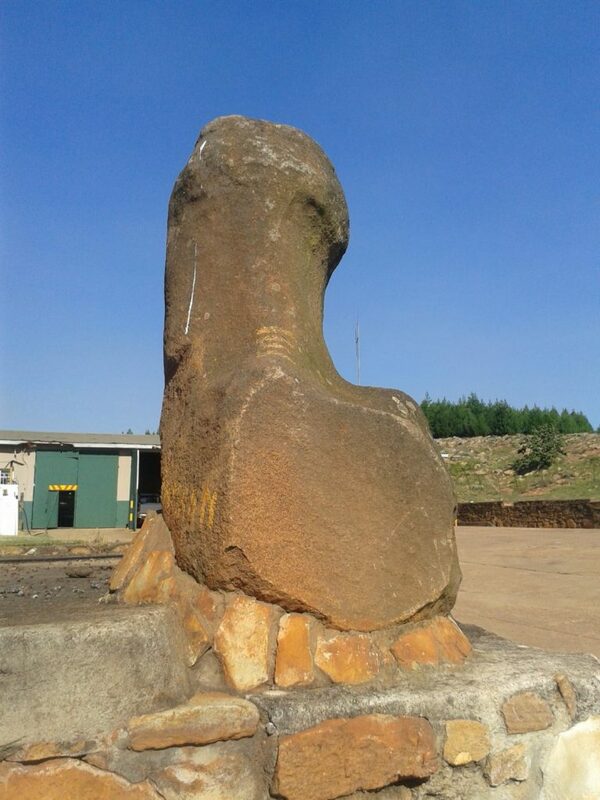 Discovered by Javier Urrutia in the mountains of Mpumalanga, South Africa during the Stone Circle Research Expedition. 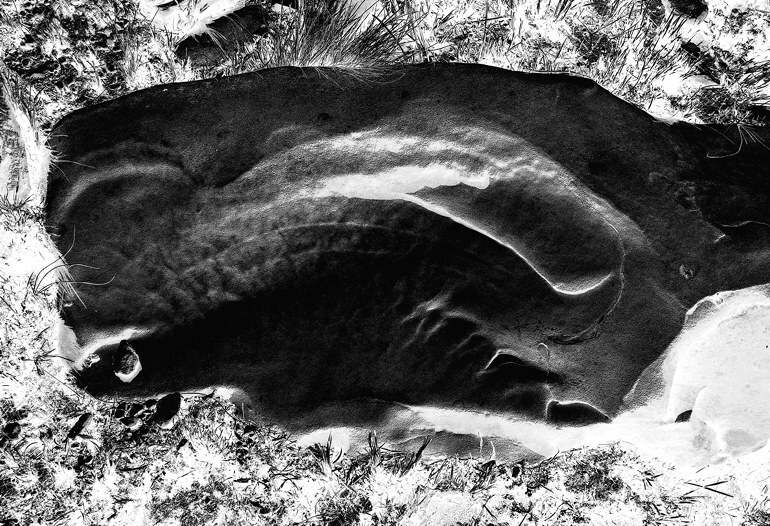 We have discovered a host of other strange and spectacular fossils – information will be released when appropriate. 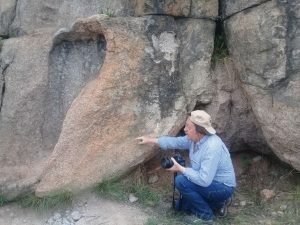 If you like to experience the intense and unforgettable magic of these ancient and mysterious sites, discover ancient fossils on the mountains, join me Michael Tellinger on ons of my new tours. See full details on my website under TOURS and Email Melissa at the office to book. melissa.ubuntu@gmail.com to book. 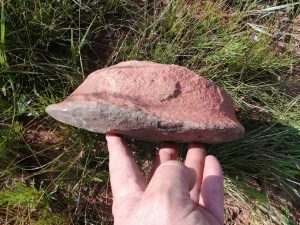 During day 3 of the Stone Circle Research Expedition with me Michael Tellinger, in the mountains of Mpumalanga, South Africa, one of our team members discovered what could shake up all of archaeology, geology and history at the same time. A Fossil showing vertebra, spine and hip bones of a humanoid baby or small child, embedded in a large rock. Nassem Ferran is a Radiographer in a hospital in Israel. He immediately identified this as if he was looking at the many scans and x-rays of spines in his daily line of work. Naseem said that this fossil or imprint is identical to the x-rays of children’s spines which he sees almost every day. Our expeditions keeps delivering new surprises every time we hit the mountains. 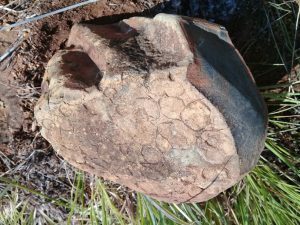 One of the great puzzles in discovering an ever increasing number of MUD fossils, remains the fact that the body parts trapped in mud, and now finally exposed, have undergone complete metamorphoses into what is commonly referred to as “hornfels” rock. This is going to require a whole new look at geology and the transformation and transmutation of organic matter to so-called inorganic matter – or petrification. There is very little if any literature on this subject, other than Roger Spurr’s Mud Fossil University Channel on YouTube. I look forward to what the rest of our expedition will deliver. 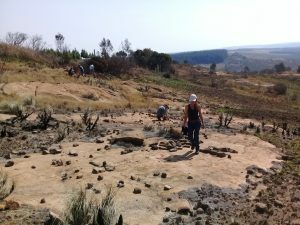 Since 2007, when I first stepped into some of the ancient stone circles in South Africa, I knew that we were facing something unique and extraordinary. I had no idea how my intuition would grow and expand. Over the past decade I have taken several thousand people to the ruins and Adam’s Calendar. Almost everyone that visits me at the Stone Circle Museum, or takes a tour to the stone circle ruins, claims that they experience some kind of energetic episode. Especially in the Stone Circle Museum, where the concentration of stones is extremely intense. The same happens when we go to the actual sites on the mountains. Different stone circles have different effects on people. Some cannot stay inside for very long – while others want to lie down and sleep – and some sit and meditate for hours, lost in their own journeys. Since 2010, many of the visitors have reported that they experienced healing in some way after their visit to the ruins. I have been told countless tales of what the people experienced and what healing they observed. A truly diverse list of health problems that were either alleviated to a certain extent, or even cured completely. From breathing, skin problems, headaches, muscular pain, back ache, blood pressure, anxiety, stress, and more. But the most mind-blowing confirmation came from a friend in the USA – who attended more than one Sacred Sites Tour with me, who told me in confidence that she was totally cured from an advanced stage of cancer. She told me that I saved her life, because she arrived in South Africa thinking that it may be her last trip. Upon returning to the USA her cancer had retreated completely. She claims that it was a combination of the intense ENERGY of the ruins and Adam’s Calendar that caused her healing. 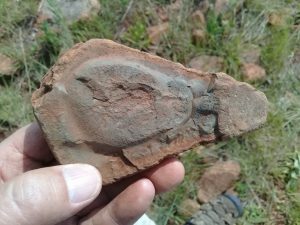 In January 2018, I held my first Research Expedition, during which we discovered the spectacular fossils. BUT, we also did an ongoing series of vital body function measurements over a period of one full month. Taking readings before and after exposure to the ruins and Adam’s Calendar. Blood pressure; temperature; heart rate; blood flow; retinal response; and several other measurements. The results were astounding. There is no doubt that exposure to the stone circles have a positive effect on the bodily functions which we measured over a 30-day period. Is it possible that the Stone Circles and Adam’s Calendar can be used for HEALINIG.? And should we contemplate introducing deeper spiritual, meditation, healing & wellness journeys to the ruins? I began to wonder how this unexpected phenomenon could be explained scientifically – so that everyone can truly grasp it and fully resonate with it. The key word here is RESONATE. 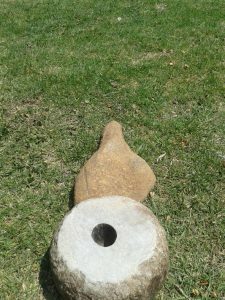 From conducting many electronic measurements, we know that the stone circles are powerful energy generating devices. Each circle is a Cymatic pattern that represents the subtle Earth frequencies that rise from the surface at that point. The stone walls simply amplify the frequencies through the concentrated quartz/silica content, and create moving amplified sound frequencies and magnetic anomalies, that in turn create electro-magnetic fields emanating from the stone walls. The ancient architects were very smart – they knew how to take the constant flow of subtle sound frequencies from the surface of the Earth – how to amplify it – and turn it into usable energy for all kinds of needs they may have had at the time. To attain unity and harmony in our lives and in the world, everything needs to be in perfect harmony and coherence, to function without breaking or falling into dissonance which we have called “dis-ease”. The reason why we get sick, is because we are in dis-ease with our environment, food, water, air, with life and the Earth itself. Our reality, our physical world, and everything in creation, whether it is seen or unseen, is a consequence or harmonic resonance – where everything is manifested into physical form by its prime resonance frequency (Prime Directive – for Trekkies). This physical form is held in a coherent grid of source-code unity by constantly vibrating or resonating in harmony with everything else in creation. Anything and everything that goes against the Prime Resonance Frequency of creation, will ultimately be destroyed by its own dissonance, and expelled from our reality or simply disappear. We can see this in our own lives every day. As soon as there is dissonance or dis-harmony, things break and fall apart. This was the technique used by Royal Rife when curing cancer patients in the 1930’s, by making dissonant cancerous cells in the bodies of his patients break up – and then be expelled by the normal bodily functions. The important realisation is that the stone circles act as amplifiers of subtle Earth frequencies, which are harmonic coherent fractals of Earth frequencies – all perfectly resonating with the Prime Resonant Frequency of the Earth. By being exposed to the amplified frequencies of the stone circles, we are exposed to the coherent harmonic frequencies of Gaia (Mother Earth). All the cell of our bodies begin to vibrate and resonate in harmony with these natural Earth frequencies – or energies – and all the cells and organs of our body slowly start to come into coherence with the natural frequencies of Earth itself. Any dissonant or dis-eased cells in our bodies are broken down and expelled. This is the simplest way to explain how the Stone Circles can heal us. 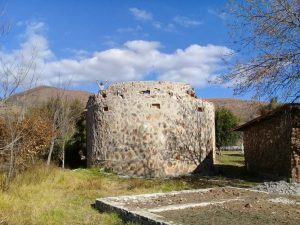 While we need to do much more ongoing observation and research, we have enough evidence that shows how we can use these ancient structures for the benefit of humanity in the present. 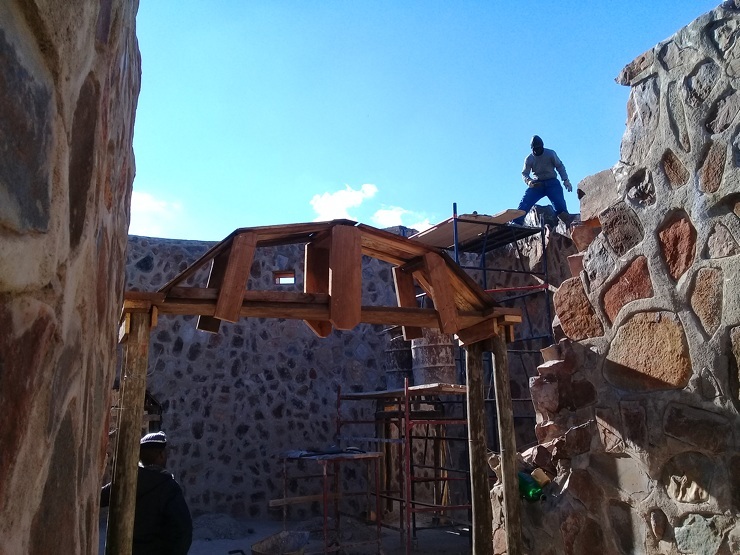 One of the most exciting and recurring effects of the ruins and Adam’s Calendar, are the deeply profound spiritual experiences and conscious awakenings that takes place. There are simply no words to describe this recurring phenomenon. Even people that have been fast asleep most of their lives undergo a shift in consciousness. Most likely because the ruins affect our DNA at the prime-resonance-frequency level. Sometimes the effects are felt immediately and other time there is a delayed reaction – but many people have reported these over the past decade. We have had truly extraordinary channellings and information downloads at the sites – by shamans, healers, and others with special gifts in these areas. Even detailed instructions on how to use the stone circles for healing. 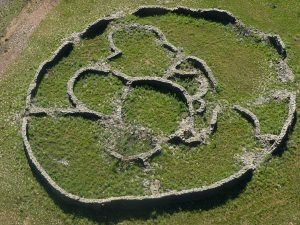 I will be announcing a number of Meditation, Healing & Wellness Journeys to the Stone Circle ruins and Adam’s Calendar very soon so please visit my website www.michaeltellinger.com to get more details. If you would like to join our first upcoming Health & Meditation Tour in December 2018, please email me at michaeljtellinger@gmail.com OR michaeltellingertours@gmail.com to reserve your place. The space is always limited and we can only accommodate 20 people. Keep in mind that I am developing a number of diverse journeys to the ancient and sacred sites, each with a different focus, so please go to my website and find the journey that most resonates with you. I trust that this has opened your mind to new knowledge and possibilities and I hope to see you in my part of the world and South Africa at some stage if you can make it. 27-29 July 2018 Friday evening – Sunday afternoon. 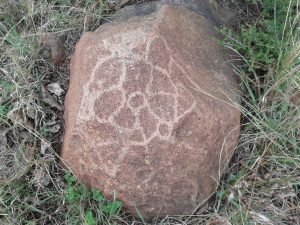 Join me, Michael Tellinger for a weekend adventure and private tour of the Stone Circle Museum, ancient Stone Circle ruins of South Africa and Adam’s Calendar, in the Mountains of Mpumalanga province, Waterval Boven. See the oldest stone ruins on Earth; the ancient Anunnaki gold-mininig empire; ancient tools and artefacts, and the oldest working Sun Calendar on Earth, in what is most likely the True Cradle of Humankind. This is a new series of affordable monthly excursions for those who like to get away from the madness of city life on the weekend. This is a self drive tour – please arrive in a high-clearance vehicle if possible. If not – you can drive with me or some of the other participants. 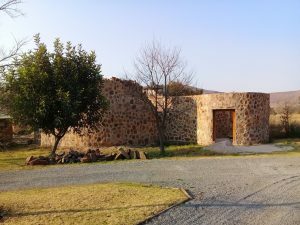 Accommodation is available at our very own Stone Circle Lodge. Capacity: 12 people only. COST: R1500 per person for the tour – Accommodation ranges from R250 to R450 pp. Private rooms and shared dorms for the real happy campers. Children under 12 pay only 50% . SATURDAY 28 July: Breakfast – Museum visit – detailed presentation of the tools & artefacts and the FOSSILS of giants, strange reptilian creatures and possibly Anunnaki. Visit the first group of Stone Circles, including the largest circle found to date, all the way on the top of the mountain – Lunch – Hike up the nearby hill to see the expanse of the terraces and circles. This is literally a walk over never-ending terraces and stone circles. Sunset over the ruins. Dinner and drinks at the Lodge – more conversation for those who can keep their eyes open. SUNDAY 29 July: Breakfast – Discussion and chat about our experiences – depart for Adam’s Calendar at 9.30am. A full walk through the extensive site with all its special places and secrets that I do not normally have time to show on shorter tours. Finish by 2pm. Depart for home or lunch at Kaapsehoop among the wild horses. 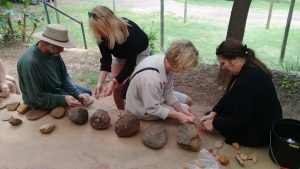 Join Michael Tellinger for a weekend adventure and private tour of the Stone Circle Museum, ancient Stone Circle ruins of South Africa and Adam’s Calendar, in the Mountains of Mpumalanga province, Waterval Boven. See the oldest stone ruins on Earth; the ancient Anunnaki gold-mininig empire; ancient tools and artefacts, and the oldest working Sun Calendar on Earth, in what is most likely the True Cradle of Humankind. This is a new series of affordable monthly excursions for those who like to get away from the madness of city life on the weekend. This is a self drive tour – please arrive in a high-clearance vehicle if possible. If not – you can drive with me or some of the other participants. 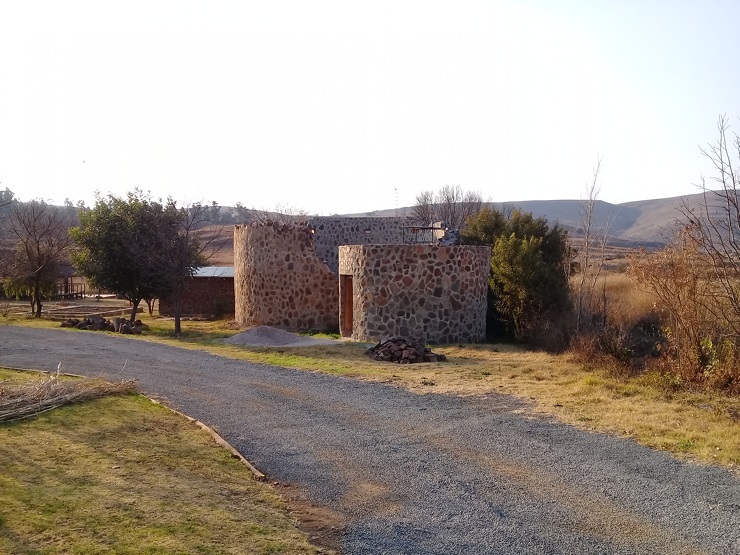 Accommodation is available at our very own Stone Circle Lodge. Capacity: 12 people only. COST: R1500 per person for the tour – Accommodation ranges from R250 to R450 pp. Private rooms and shared dorms for the real happy campers. SATURDAY 30 June: Breakfast – Museum visit – detailed presentation of the tools & artefacts and the FOSSILS of giants, strange reptilian creatures and possibly Anunnaki. Visit the first group of Stone Circles, including the largest circle found to date, all the way on the top of the mountain – Lunch – Hike up the nearby hill to see the expanse of the terraces and circles. This is literally a walk over never-ending terraces and stone circles. Sunset over the ruins. Dinner and drinks at the Lodge – more conversation for those who can keep their eyes open. SUNDAY 1 July: Breakfast – depart for Adam’s Calendar at 9am. A full walk through the extensive site with all its special places and secrets that I do not normally do not have time to show on shorter tours. Finish by 2pm. Depart for home or lunch at Kaapsehoop among the wild horses. 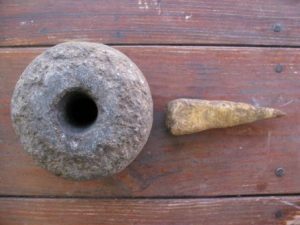 Healing Effect of Adam’s Calendar & Stone Circles. The strange electromagnetic interference at Adam’s Calendar. Similar effects have been experienced in the stone circles – some more than others. The one emerging piece of evidence is that the Stone Circles have a very positive effect on human health and physiology. Repeated measurements of various vital signs have confirmed this. Several people have reported improvement in various diseases – One particular person with an advanced stage of cancer reported complete healing and reversal. https://michaeltellinger.com/wp-content/uploads/2018/05/Healing-Effect.jpg 480 854 michael https://michaeltellinger.com/wp-content/uploads/2017/08/MT-large-500x117.png michael2018-05-20 16:54:482018-07-17 14:07:59Healing Effect of Adam's Calendar & Stone Circles. 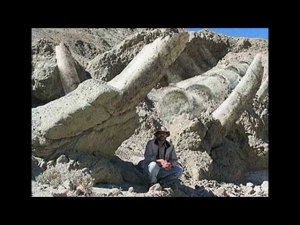 I will be showing the incredible fossils of giants and extinct creatures. Ribs, hearts, leg bones, teeth, reptilian skin, and much more, during my 3 hour presentations in IRVINE, PHOENIX, AUSTIN & BOULDER. Hope to see you there – Book online or come to the door. Please book online or come to the door. Here is an outline of the lectures. 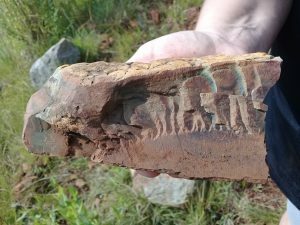 Discover the largest collection of ancient stone ruins found on Earth to date in South Africa and Zimbabwe dating back over 300,000 years. More than 10 million stone ruins and 500 thousand square kilometres of agricultural terraces – The stone circles and Adam’s Calendar – Discover their ancient advanced technology – tools and artefacts – stones that ring like bells – giant energy generating grid – Evidence of ancient Gold Mining and Anunnaki presence in this part of the world – AND the NEW discovery of fossils of giants and extinct creatures around the stone circles. What have we learned from the ancient technology – Discover the lies of modern science – Find out how these ancients used sound and resonance as tools and technology – How is sound and Magnetism connected to electricity – cone shaped tools of the past and present – and torus stones – toroidal fields – acoustic levitation – SASER beam technology – Electronic measurements in the ruins and Adam’s Calendar – sound frequencies and EM waves – ancient silicon based technology – How this impacts on our understanding of science and physics today – The particle physics agenda of the elite education system – transmutation – mud fossils and geological anomalies – Is the MATRIX real – Can we see it – Did the ancients know about it – Did they Create it? What are the true origins of money? – Who controls it – The socio-economic structure of the world is broken – It cannot be fixed – What are the solutions? How did we get into this mess? How do we transition from this insane slavery system to a new reality – filled with prosperity and abundance for all – Is it possible? 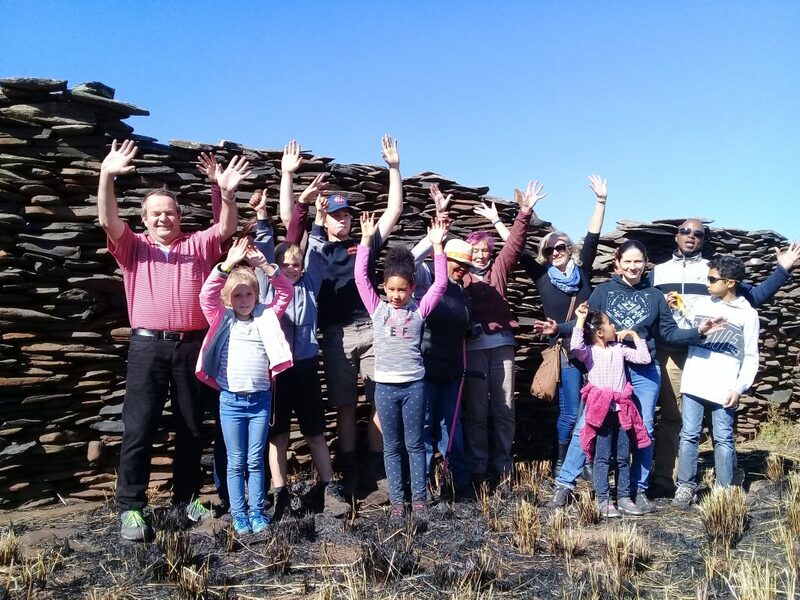 Success of the UBUNTU Movement’s ONE SMALL TOWN – Can Change The World, strategy – Turning competition into cooperation and collaboration – new energy and a simple plan for a new social structure – free from all forms of slavery – allowing people to express their skills and talents for the benefit of everyone in their community and the world. We are the makers of our own reality. Our thoughts, our words and our actions, create the world around us and reality we find ourselves in. 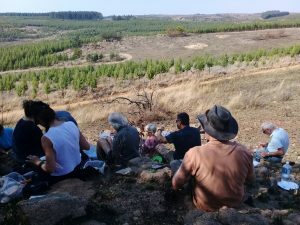 The UBUNTU FESTIVAL is a truly unique event of mind, body, spirit – music, arts and consciousness – Bringing together all those who are conscious and wide awake, to help awaken others, to share their creative talents, and to co-create a new world of unity, prosperity and abundance for all. Featuring music, workshops, lectures, sound healing, Yoga, Qi Gong, Tai Chi, drumming, sweat lodges, children’s activities, and much more. With over 40 local and international music performers and more than 20 international researchers, teachers, healers, scientists, psychics, military experts, UFO hunters, Shamans and Traditional Elders. UBUNTU FESTIVAL is for those who seek new knowledge and answers to the great mysteries of our past and present. Those who know that there must be more to this life than what we are presented with. If you love music, arts, culture and want to help expand the collective consciousness of our country and the world – come to the UBUNTU FESTIVAL 12-15 April 2018 at the Mbombela Stadium, Nelspruit/Mbombela – South Afrca. Tickets are on our website UBUNTUFEST.ORG or at the gate. A celebration of the human spirit & the limitless expression of human creative talents. 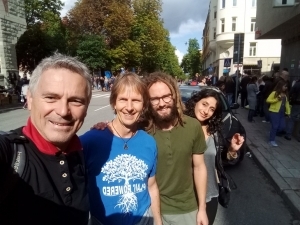 Sharing the skills, talents & knowledge of people from any countries, diverse cultures or backgrounds – to inspire each other to higher levels of unity consciousness – manifesting a beautiful world & future for all of us. Through music, dance, art, yoga, sound healing, meditation, comedy, health, pottery, basket weaving, spiritual teaching and information, new technology, higher knowledge and alternative information about our human history, the nature of our reality – and so much more. 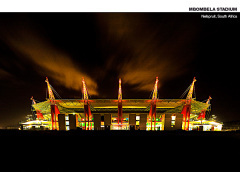 Because Nelspruit is the gateway to the Kruger Park, there are dozens of hotels, lodges, bush camps and guest houses for visitors to choose from – all within a few minutes from the venue. The size of the venue has also given our guests ease of access and we can accommodate larger numbers of people if we need to with ease. 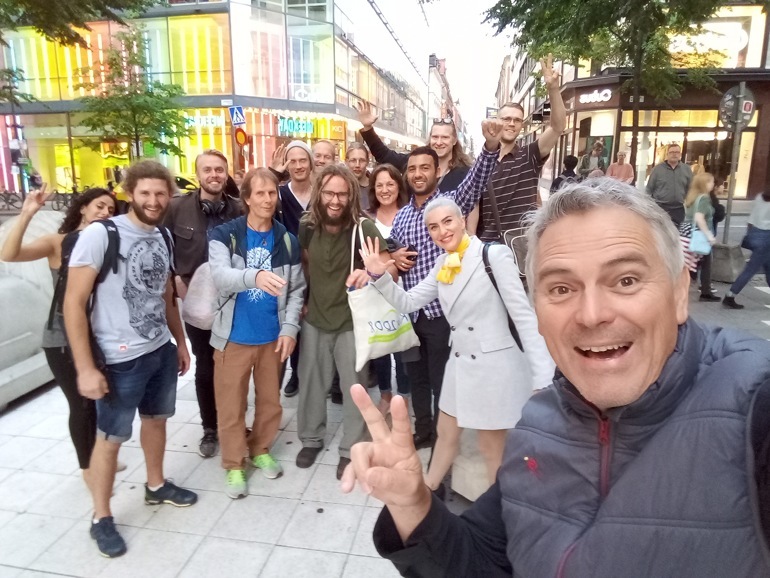 So spread the news about UBUNTU FESTIVAL to those who hunger for knowledge and who are ready to co-create a new reality for all of us – free from economic hardship and enslavement. Mel Fabergas of Veritas Radio interviews Michael Tellinger – History Of Money – Is Bitcoin a Trap?, – Is History Wrong On Human Origins? Anunnaki gold and the terrible truth we have to face to come to terms with our origins as a species. The absolute control and manipulation of humanity for millennia by the global El-ites – and the rapid rise in collective consciousness that is leading us to enlightenment and freedom from economic slavery and prosperity and abundance for all. Join the UBUNTU Movement and become the seeds of consciousness in your area. Many ancient people spoke about a time before the moon was in the sky – Aristotle, Democritus and Anaxagoras, Apollonius of Rhodes, Hippolytus and more. Now that we know the moon is not what we see – that a hologram hides the true body behind it – it becomes critical to question what the moon really is – what is the hologram hiding? And when did the moon appear in the sky? 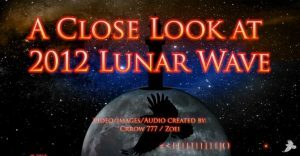 Here are some references and a video of the famous Lunar Wave – from Crow 777 that clearly show that the moon is some kind of hologram. No moon landings possible – all moon landing images are simply Hollywood productions. So – where do we go from here? 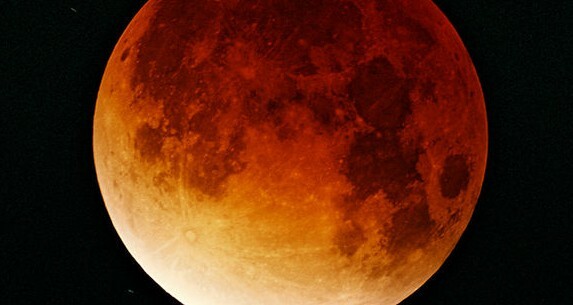 Some allusions to the time before there was a Moon may be found also in the Scriptures. In Job 25:5 the grandeur of the Lord who “Makes peace in the heights” is praised and the time is mentioned “before [there was] a moon and it did not shine.” Also in Psalm 72:5 it is said: “Thou wast feared since [the time of] the sun and before [the time of] the moon, a generation of generations.” A “generation of generations” means a very long time. Of course, it is of no use to counter this psalm with the myth of the first chapter of Genesis, a tale brought down from exotic and later sources. 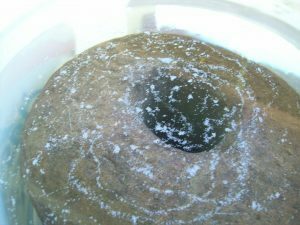 The Stone Circle Research Program is making stunning new discoveries almost every day at this stage. The discovery of ancient humanoid and animal mud fossils has take everyone by surprise. 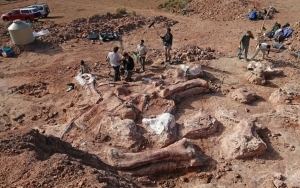 Now it seems that we are also finding parts of unknown animals; dinosaurs and giant beings. I am preparing to have some of the best pieces tested for DNA material as soon as this group departs. If the results are what we expect, it will undoubtedly shift and re-write South African history completely. Below are some examples of reptilian or dinosaur skin, and other body parts. 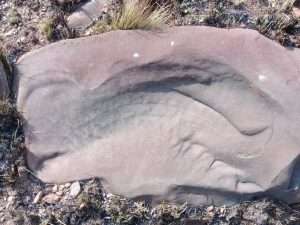 Some with teeth or claw marks that fossilised. 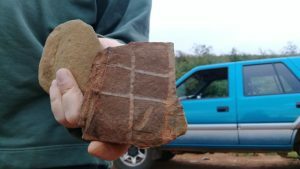 Waterval Boven, South Africa, is quickly becoming the capital of mud fossils worldwide – all connected to the activity of the ANUNNAKI and the stone circles. Our online ticket sales and room reservation is now live on our website. We have luxurious hotel rooms, log cabins, rondawels, chalets, cottages, and awesome clean camping for over 3000 people. Tell everyone who resonates with our philosophy of creating a new world of abundance and prosperity for all. You can view our ONE SMALL TOWN video here. 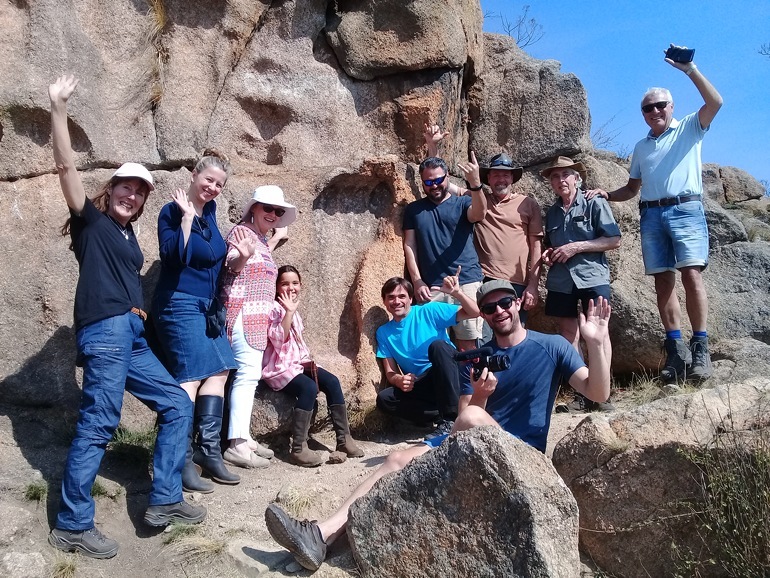 The Stone Circle Research Team at the Giant Foot Print in South Africa – we found stunning evidence that there may be a much larger fossilized giant present there. 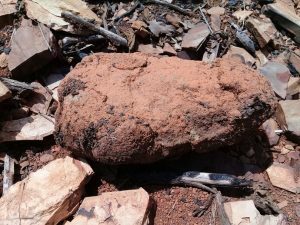 We found strange organic matter growing out of layers and cavities inside a granite boulder. 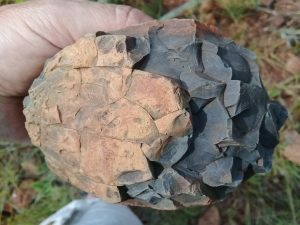 Not what you expect when you break open a stone. Genetic analysis will be done. 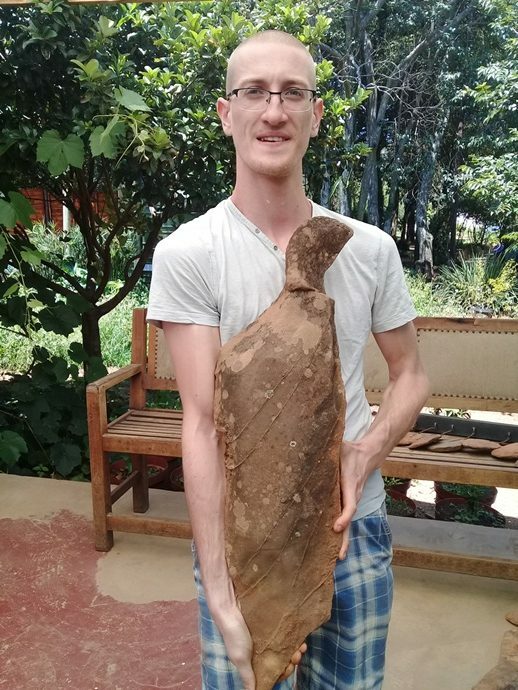 The second day of our Stone Circle Research Program Vincent discovered a great Bird Stone – which will take its proud place in the museum, with the growing line up of other Bird Stones. 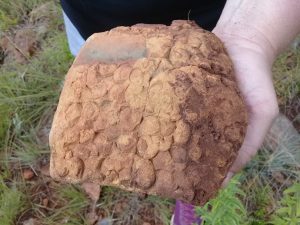 We also realized that we may be walking on a large field of strange fossils from large humanoids. This has added a whole new twist to this research program. We are getting expert advice on this subject. 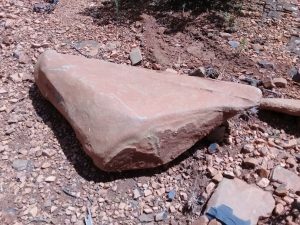 For years I have wondered why this certain place has this strange stones that are not found anywhere else. It may be because we have stumbled onto a mountain of unimaginable fossils. The first day of the Stone Circle Research Program was simply overwhelming. Since we are generally a conscious and spiritual group, we started out with an opening ceremony to bless our journey and for clarity of vision and comprehension – everyone voiced their intention for the group and themselves. 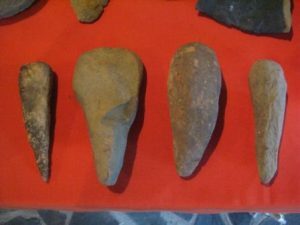 After a strategic planning session during which we complied a long list of activities and research that will be initiated, we spent almost half the day in the museum getting acquainted with the ruins, the stones, the tools and the strange artifacts. Then, when everyone had a feel for what to look for, we headed out to explore and discover. 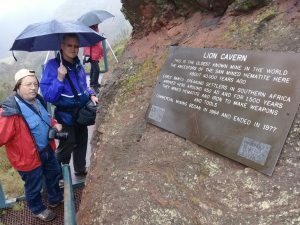 This was the first time that a team of people set out into the mountains with a specific goal of research and discovery. Monday we will receive a GPR (Ground penetrating radar) tool which will become very useful in the weeks to come. We will be publishing our findings in a paper, supported by photos and videos, as this journey unfolds. Part of this first team’s task is to lay the foundation for future teams. 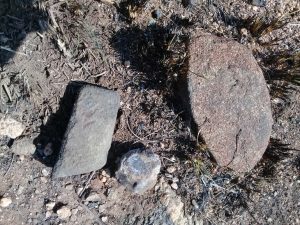 Here are some images from the first day in the field with the Stone Circle Research team. What an awesome group and what and awesome day. I will be sharing the exciting activities and research as we go. A Message to the UBUNTU family around the world and conscious beings everywhere. 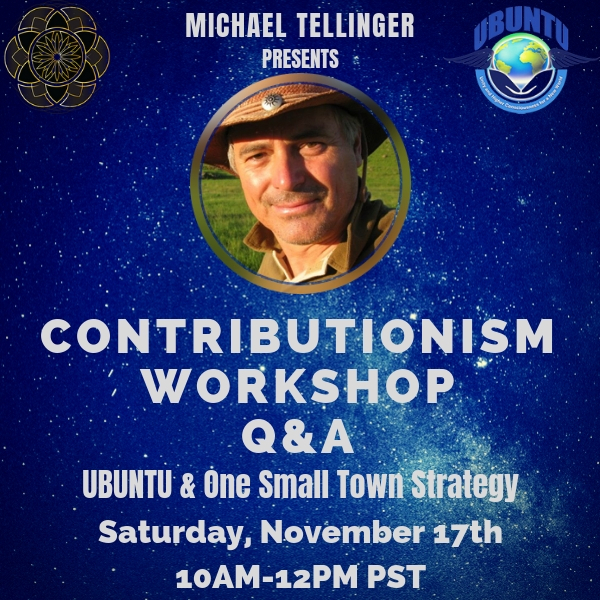 https://michaeltellinger.com/wp-content/uploads/2017/12/Ubuntu-Planet.org_.jpg 482 753 michael https://michaeltellinger.com/wp-content/uploads/2017/08/MT-large-500x117.png michael2017-12-31 13:07:502017-12-31 13:07:50Out of the darkest hour - Comes the brightest light. A celebration of the human spirit & the limitless expression of human creative talents. Sharing the skills, talents & knowledge of people from any countries, diverse cultures or backgrounds – to inspire each other to higher levels of unity consciousness – manifesting a beautiful world & future for. Through music, dance, art, yoga, sound healing, meditation, comedy, health, pottery, basket weaving, spiritual teaching and information, new technology, higher knowledge and alternative information about our human history and the nature of our reality – and so much more. IMPORTANT: This event is Family friendly – bring your children and whole family for an unforgettable long weekend of adventure and expanding our collective consciousness. Accommodation: The resort can sleep 4500 – in great cottages and good clean camping. 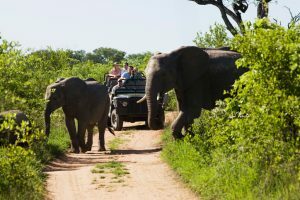 Many other activities: Hot springs; swimming; game drives; Kruger Park; ancient ruins; mountain biking; hiking; horse riding; tennis; bowls; golf and more. My German tour group was very fortunate to have been shown the remains of a giant at WITS University. 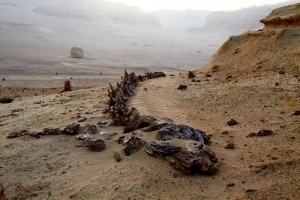 This is the only remaining piece left – after it was discovered in Namibia in the early 60s. According to reports several bones and even entire skeletons of very large humanoids – well over 12 feet / 3 metres tall were found in a mine. 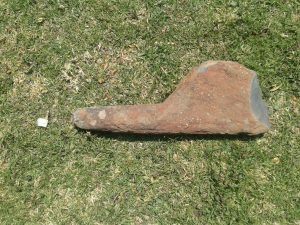 By the time Prof Tobias from the Johannesburg archaeology department was able to get there, most of the parts had vanished and only this one remained. This incident created quite a stir at the time but as usual, was swiftly covered up by the authorities. 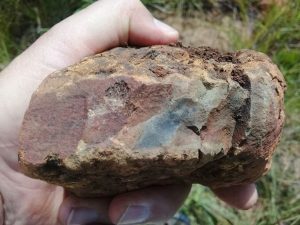 This bone is completely fossilized and estimated to be at least 40,000 years old – indicating that it has been lying there for a long time. 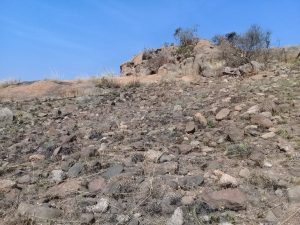 This poses an important question relevant to my research of the Anunnaki in Southern Africa – Was there gold mining going on in Namibia well before 40,000 years ago? Most advanced NEW Antenna in the Military unveiled. https://michaeltellinger.com/wp-content/uploads/2017/11/phased-ray-antenna-2340-x-1000.jpg 1000 2340 michael https://michaeltellinger.com/wp-content/uploads/2017/08/MT-large-500x117.png michael2017-11-05 19:27:162017-11-05 19:27:16Most advanced NEW Antenna in the Military unveiled. ONE SMALL TOWN Interest Speeding Up. I had a very successful quick trip to the USA – did presentations in Santa Fe, Austin and Dallas. The result has been astounding. We now have activity in 3 new SMALL TOWNS with access to conscious mayors who are already doing almost UBUNTU activity without realising it. We have two UBUNTU USA members that will run for mayor in Austin TX and Santa Fe – and we have a possible Governor to implement the ONE SMALL TOWN strategy at the STATE level. All of this in just one week. Thanks to Travis Duncan for all the support and Holliraja Vibration for her artistic contributions. NOW – let’s make the UBUNTU Conscious Music Festival a great success. Please share the website link with everyone who knows that we have to find a new way out of this slavery system. https://michaeltellinger.com/wp-content/uploads/2017/08/Uptown-Advert-01.jpg 556 800 michael https://michaeltellinger.com/wp-content/uploads/2017/08/MT-large-500x117.png michael2017-10-19 15:16:432017-10-19 15:19:05ONE SMALL TOWN Interest Speeding Up. This is an opportunity for all UBUNTU supporters in the USA to come together in one place and amplify our intention and share our knowledge with others who are new to the simple UBUNTU plan of action. Please share this with everyone. UBUNTU Conscious Music Festival – 2 days – 24 Artists – Shifting Consciousness. ONE SMALL TOWN – Can Change The World – initiative in North Frontenac, Ontario, Canada. UPDATE: The response to this research programme has been so overwhelming it has taken me completely by surprise. More than twice the number of people we can accommodate have signed up in the first week. As a result of this I may take in more people that we originally wanted – BUT, I will definitely set up another 2 months in 2018 to continue this programme. Please sign up if you want to join – even if you do not make it into the first group – I will respond to all who signed up and accept everyone by the date order in which you applied. 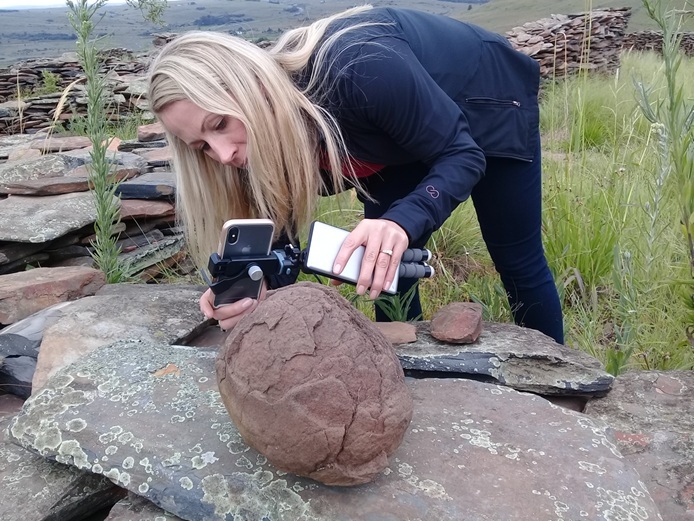 If the spirit of exploration beats in your heart – and you have a passion for discovery and research, join me, Michael Tellinger for the first ever research expedition among the ancient stone ruins of South Africa. For 4 full weeks we will explore many stone circles, Adam’s Calendar, the Giant Foot print, rock carvings, tools and artefacts, existing sites and new sites. We will examine; investigate; photograph; video; take samples; evaluate; catalogue; and gather critical information that will shed new light on the mysterious ruins, their origins and purpose. Our intention is to use different areas of research science to show how everything is connected and how everything around us effects everything else. We will cover the following areas of research: Archaeology; geology; erosion; patina growth; sound frequencies; electromagnetic measurements; astronomy; archaeo-astronomy; soil samples; sediments; infrared photography; genetics; botany; mineral content; artefact; dating techniques; aerial photography; oral tradition; shamanic teachings – and other activities. During this journey, we will also take time out to relax and enjoy our time together while we visit the Kruger Park and other sacred sites. COST OF PARTICIPATION: US$ 2000 all inclusive (R20,000 for South African participants) Does not include international or national flights. 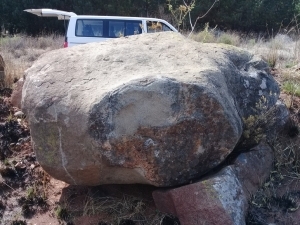 Participants need to make their own way to our venue in Waterval Boven, South Africa. Clear details will follow. You will be provided with accommodation; food; all transport during the programme, and some tools for the research. We will work in groups of 2-4, with diverse specialities and interests in each group. We will only use the most reputable research facilities for analyses. IMPORTANT: If you have any unique and specialised tools or equipment that will help us with our research – please notify me and bring it with you to help us with our research. 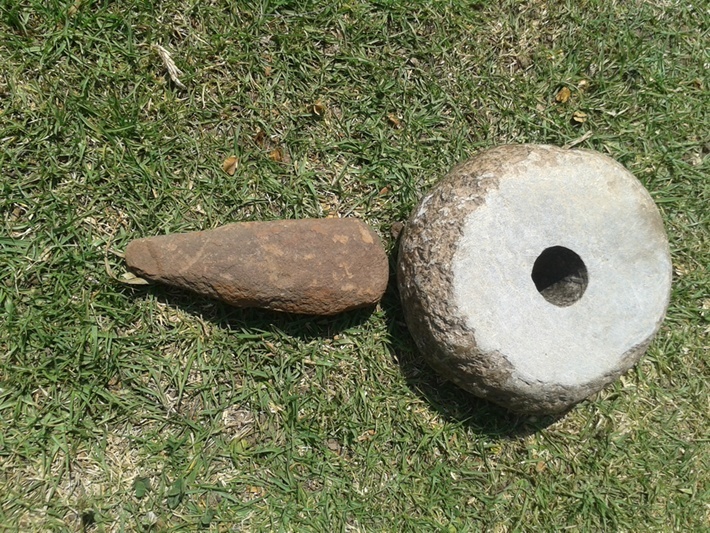 EQUIPMENT: If you have any specialised tools or equipment that you can donate or loan to the Stone Circle Research Programme – please email me to make arrangements. 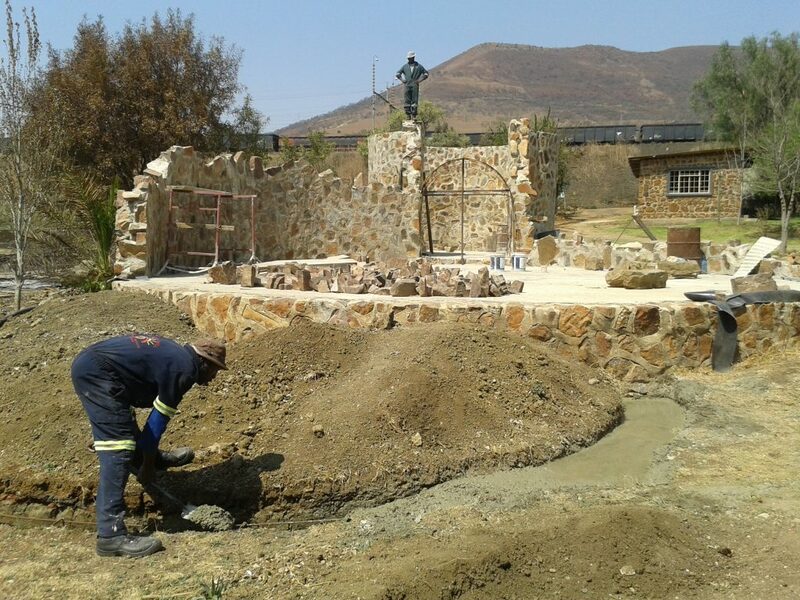 Your contributions will be greatly appreciated and displayed in the NEW Stone Circle Museum. FITNESS: You have to be fit, and healthy, and able walk up steep hills, climb rocks, and able to spend long days in the sun and on the mountains.